Hi everybody! As I am typing this, it is May 4th–a day where everyone talks about Star Wars (because may the fourth be with you! 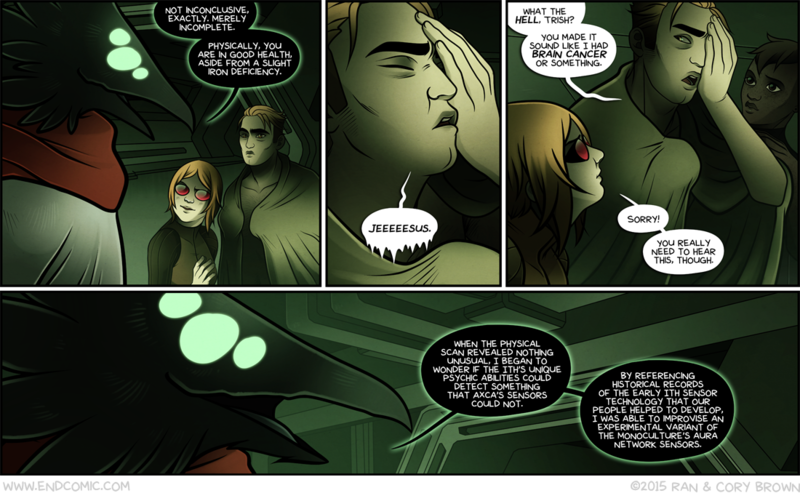 ), but also the exact day that we launched this comic back in 2010! I can’t remember if we launched on this already marked nerd day on purpose or not, though it’s a nice thought in retrospect, but I do remember how weird it felt to finally be launching a project that we really believed in. While it’s true that Cory wasn’t writing for it yet, and wouldn’t be until we hit Chapter 4, he was an essential behind-the-scenes source of help, motivation and essential story planning when we were laying down the initial concept and characters behind this story. I am extremely proud to look back over the last 5 years and, as of typing this, 420 pages of comics of a story that is more fun to write and draw every day. A lot goes into these pages–a lot of planning, a lot of thought, a lot of work and last minute edits. We hope it shows, and we hope it continues to show as the story progresses. 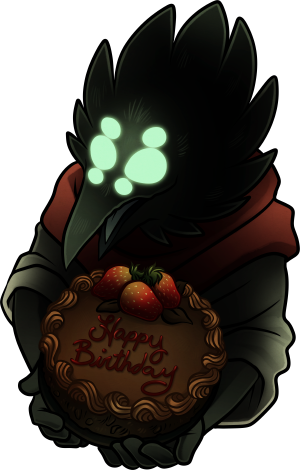 Thank you so much for your comments, your support, your patronage and your awesome, awesome speculation–reading your comments, even if I can’t respond because my answer would spoil things, is the highlight of my day on every update day! 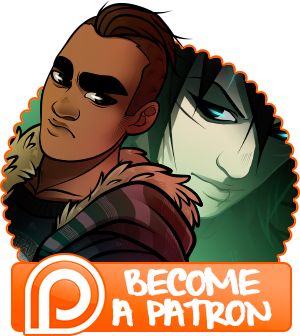 Anyhow, enough being sappy–I’m sure we could go on forever, but I have a lot of stuff for you and this page is going to be long as heck. 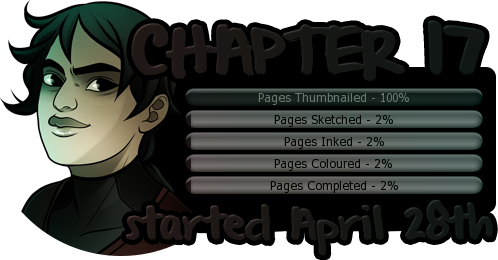 Here’s the progress for the new chapter! I’m a little further behind than I wanted to be–this weekend was pretty nuts, and next weekend is going to be nuts, too, because we’ll be in Toronto for TCAF! That means that my week will consist of getting as many pages as I can ready for colouring, cleaning my house, cleaning out our car and frantically packing and getting the kiddo and our giganto dog off to their respective babysitters. I should still have two to three done, but that’s a lot of stuff to do. Anyhow, we’ll be posting the new poll on Friday for June’s wallpaper! See you then!